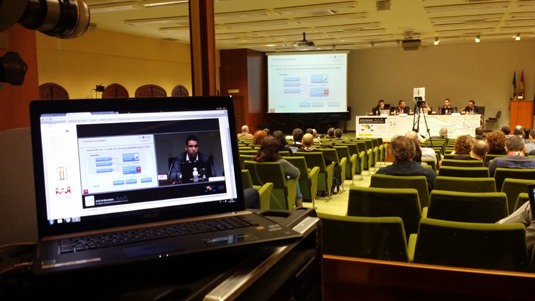 For the third consecutive year TELTEK was selected by RedIris (the Spanish NREN) as the company to stream and record its JJTT-conference (the annual Spanish Universities’ IT staff meeting). 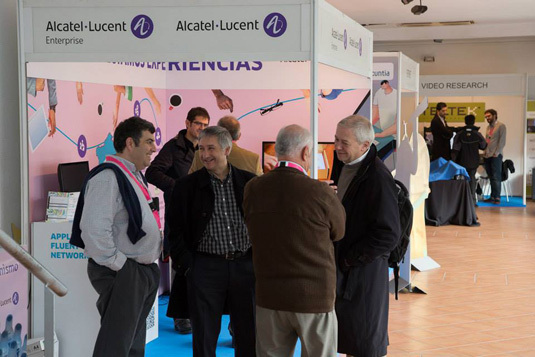 JJTT-2014 took place in Caceres, from the 25th to the 27th of November in the San Francisco Cultural Complex. 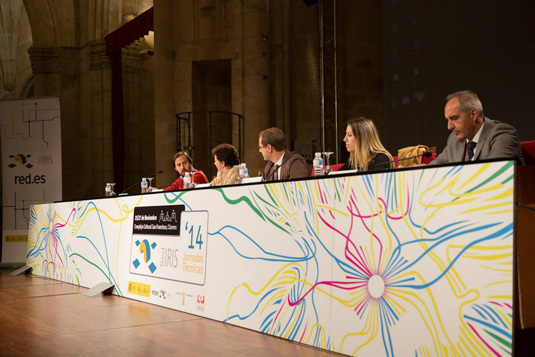 As in previous editions, the conference was preceded by the XXXVIII RedIris work groups. In addition, TELTEK increase its presence in the conference with an informative booth. Global university and science, a future view. Wireless campus and mobility services. Big data and open governments. All the events were streamed live, recorded and published. Just a few minutes after a talk ended, its recording was already available as VoD in a “Side by Side” (single stream) format, and as a full multistream MH recording on the next day. More than 400 “physical” attendees. More than 700 different IPs connected to live streams. More than 60 presentations streamed and recorded. Galicaster as the recording and streaming solution. Wowza Media Server as the streaming server. Opencast-Matterhorn as the multistream engine. Paella Player as the HTML5 player for Matterhorn. PuMuKIT as the media management framework. Watch all the recordings and see some pictures of the event.